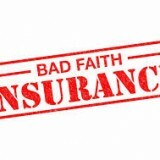 Home » Bad Faith » Bad faith claim leads to broad disclosure obligations. Bad faith claim leads to broad disclosure obligations. Shirley Wade suffered injuries as a result of a motor vehicle accident in 2005. In 2008, her insurer, the Wawanesa Mutual Insurance Company, stopped paying her disability benefits. Wade started a lawsuit for breach of contract and bad faith against Wawanesa. 4. During the last 5 years, advise how many times Wawanesa had referred to Section B income replacement claimants to the Atlantic Pain Clinic for assessments or treatments, and the amount paid to the Atlantic Pain Clinic for these services. In 2014, a Judge ordered Wawanesa to disclose the (likely extensive) financial and administrative documents requested by Wade’s lawyer. Wawanesa appealed the Judge’s ruling. On July 16, 2015, the New Brunswick Court of Appeal confirmed the Judge’s decision. While the Court was prepared to consider whether the requests were proportional to the likely benefit to be received, the Court continued to say that the insurer had not provided evidence of disproportionate costs or efforts required to produce these documents. Further, the documents requested by Wade were relevant to her claim in bad faith. Following this decision, insurers facing bad faith claims could be forced to expand disclosure extensively. You can read The Wawanesa Mutual Insurance Company v. Wade, 2015 NBCA 43, here.